Jose Magsaysay was a district manager with a fast-food hamburger chain when he was invited by his brother-in-law, Ricky Montelibano, to join the latter’s group that was working on a startup business. After Magsaysay met the other members of the group, Danny Bermejo and Jorge Wieneke, he learned that the business concept was already developed. The startup was about a flavored French fries business, an offshoot of the flavored popcorn business of Montelibano at that time. It was almost ready to roll out except for the financial budget to implement their plans. Magsaysay suggested that they need to invest Php150,000 to put up their first outlet, which the partners agreed to divide equally among themselves. Soon the first Potato Corner store opened in SM Megamall in 1992. It became so successful that the partners wanted to expand right away but were held back due to lack of capital. Magsaysay came up with the idea of raising funds from franchising to help grow the business. Only few months after opening their first outlet, the partners immediately put up a second outlet by awarding it to a franchisee. 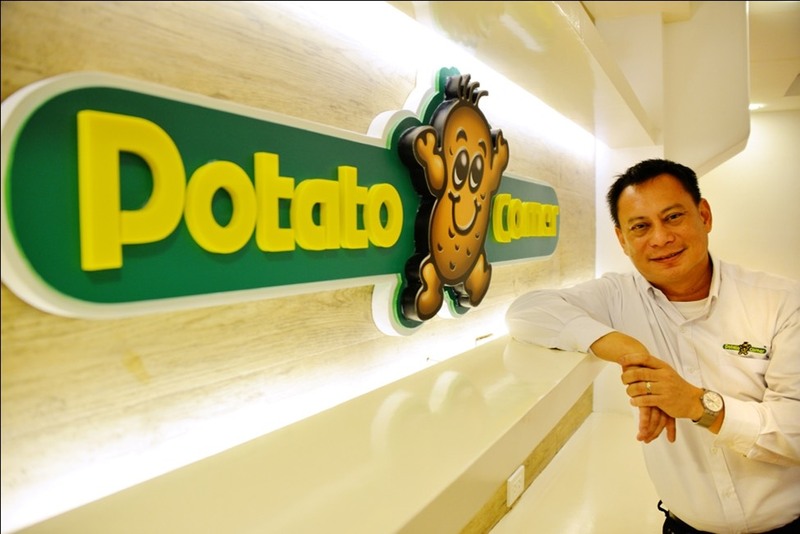 The franchising scheme worked so well that the group increased its number of outlets to 70 in just two years, making Potato Corner the fastest-growing franchisor then. But in the late 1990s, during the Asian financial crisis, Potato Corner suffered its worst setback when franchisees started to close down, bringing its total outlets down from a high of 120 to only 40. It was during this period when Magsaysay took over management and led the Potato Corner out of crisis. Today, 26 years since the business was founded, Potato Corner has grown from a favorite local brand to a fast-rising global brand in the food cart industry with over 1,200 outlets both here and abroad. How did Magsaysay transform Potato Corner from a Php150,000 food kiosk to a billion-peso empire today? What were the early challenges of the company and how did Magsaysay overcome it? The success of any business partnership will not be possible without harnessing everyone’s strength and involvement in the team. Magsaysay was able to focus on franchising because all the other partners were doing their roles in the business. “A lot of people don’t realize that it is not easy to be an entrepreneur,” he says. “It is hard to grow a business all by yourself. The reason why Potato Corner is so successful today is because when we started this, all the four partners worked hard and helped each other. A brand is more than a logo. The values that your brand represent must align with the values of your market. Customers trust the brand more when they see the values are aligned with their own. “Potato Corner was designed for kids,” Magsaysay says. “My partners did a focus group discussion with preschool students when they came up with the logo. It was the nursery and kindergarten students who chose the final design of Potato Corner. “When Potato Corner first opened in SM, it was more of a novelty because we were the first food cart to fry inside the mall. Nobody had ever seen flavored French fries until we came so everybody was our market. There is a saying that the best preparation for good work tomorrow is to do good work today. If you want to succeed in business, you need to invest in yourself by learning and honing your skills. In 1997, Magsaysay left Potato Corner to join politics. Unfortunately, he lost in the elections and decided not to come back. He took a job as General Manager with a donut company where he had the opportunity to take graduate courses. 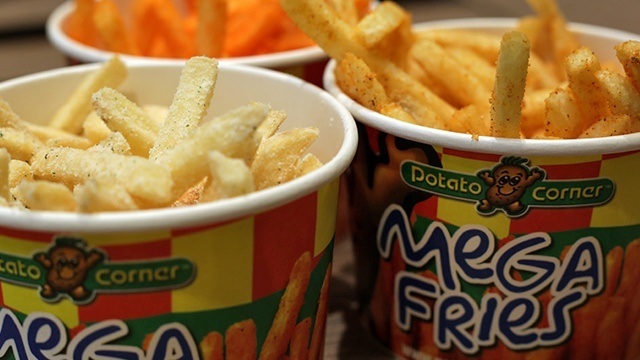 “I felt like we just got lucky when we did the franchising of Potato Corner,” he says. “It was just all lakas ng loob as I did not have the experience of running a business. Because of my schooling, I gained more confidence. “It was a period of economic crisis in 2001. Potato Corner was slowing down and the number of our outlets fell to only 40. I thought to myself that this is the only company I have and I might as well help it recover. I thought that I needed to do something before the company goes bankrupt. So I prepared a plan and presented to my partners. One way to keep a long-term relationship with partners is to see the business from their perspective. In this way, you can identify the areas where you can add value and help them grow. “What I always wanted to do is make sure our franchisees make money,” Magsaysay says. “Our franchise fee is still the same. We could have asked for Php1 million pesos 10 years ago, but we never did because I was always worried about the payback of our partners. If you want to be successful as an entrepreneur, you must be ready to fail. Mistakes are part of risk-taking that enable you to become more focused and a better decision-maker. “Risk is like gambling,” Magsaysay says. “You only gamble what you can afford to lose. So I told my partners one time you guys have to trust me. I will never risk anything that will hurt the company. If I risk and fail, then I risked something that we can let go. Any failure is part of learning process.